Forays of a Finance Foodie: The Guerlain Spa at The Waldorf Astoria: It Doesn’t Get Much More Luxurious Than This, Folks! 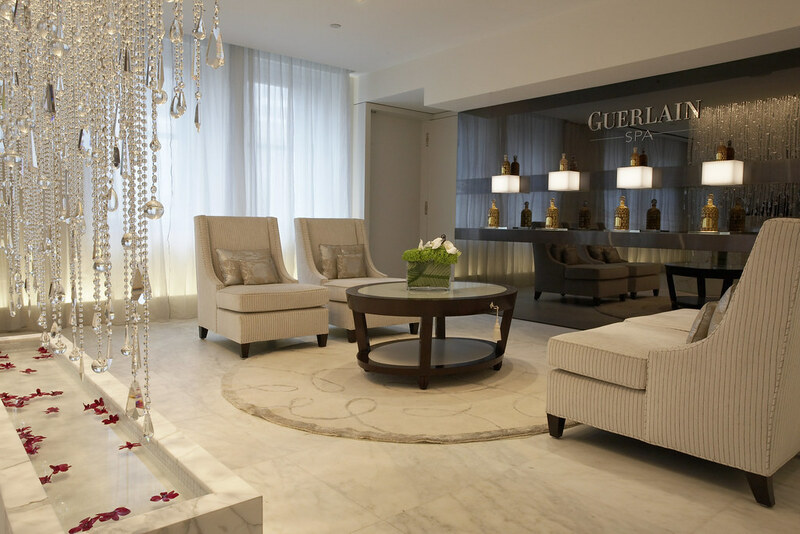 The Guerlain Spa at The Waldorf Astoria: It Doesn’t Get Much More Luxurious Than This, Folks! I am sure many hard-working professionals who need a serious pampering break often wonder if it’s worth it to spend hundred of dollars for a massage (or other services) at world famous spas that many feel are just for the rich and famous, aka “the beautiful people”! I checked out the Guerlain Spa in the Waldorf Astoria last week for the 50 minute Hot Stone Massage just because I have never had a bad hot stone massage—nothing beats it for sure muscles, especially shoulder blade and lower back pain. This service costs a whopping $265 plus 18 per cent service charge but I will say that this is by far the most luxurious and relaxing spa treatment that I have ever had (and I have had them at eight to 10 of the world’s most famous hotels and spas in the past). I say that not only because of the quality of the service but also because of all the little extras along the way. When I got to the front desk (which is on the 19th floor of the Waldorf Towers), I was immediately offered a bevy of beverages including herbal tea and champagne and then escorted to a glamorous living room setting where I was offered more beverages before I got to the treatment room. It had stunning modern furniture, gorgeous chandeliers and a view of midtown Manhattan that was hard to beat. The service rooms here are actually called “suites” and that is for good reason—they are the size of a studio apartment! I was offered a very fancy locker within a white built-in that included everything from terrycloth slippers to a safe to specialty brushes for cleaning one’s shoes! 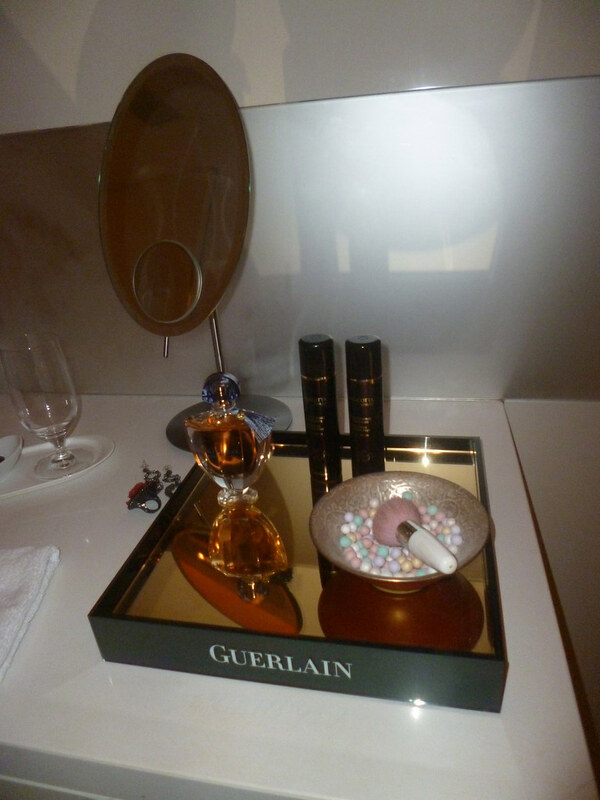 The suite had a full-size luxurious white marble bathroom that including a never ending supply of Guerlain’s own toiletries and a glassed-in shower that was about 8’ X 6’. Geanina, my technician, let me change and offered me a drink (it’s not hard to have at least three glasses of champagne before they get to your service here, LOL)! The massage tables here are about 40 per cent bigger than the standard and are covered with cushions and high thread count white sheets. Geanina asked which of three Guerlain Body Oils I wanted for my massage and I opted for the energizing Ginger Lime fragrance. She then asked me what degree of pressure I wanted to be used and if I had any “problem” areas. I got to choose from six or seven types of music and I chose the standard spa “new age” tunes. Geanina started on my back but did a standard massage for about ten minutes before starting up with the hot stones. She asked me if they were “too much” and they were indeed very hot but I wanted them that way. She did amazing work with the stones on my sore shoulder blades which got that way from carrying shoulder bags around the city all day, every day. She was attentive to all my needs as she went through the process of doing the massage, giving extra attention to my shoulder blades (as already mentioned) and lower back. Geanina applied pressure to each spot with a stone and I felt relief instantly. The Hot Stone Massage includes hand massage towards the end of the treatment, which is extra relaxing. 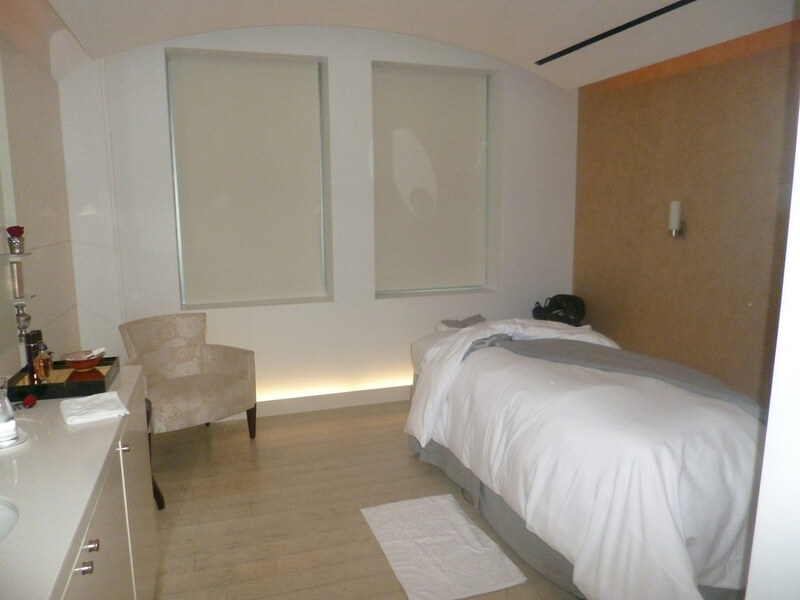 The very end of the procedure was a little massage over white sheets and then a cleansing with hot white towels. Some people feel the need to take a shower after massage oils are applied but Geanina was very through at toweling them off all the body parts she worked on. I got the suite myself for 20 minutes after the massage, which is standard at the Guerlain Spa, Geanina offered me another drink before she left the room but she had already put out water and a delicious dark chocolate. I was also offered a free makeup application by one of the spa’s makeup artist, which was a nice touch. It was hard to leave the spa not only because I was so relaxed that I wanted a nap but also because it was so stunning. It looks like something from a Bond film but fits into the classic décor of the Waldorf at the same time. Is this massage worth the price? Most definitely, since it is not just a massage but also a whole “spa experience” with a lot of extras. A lot of people come here as a birthday treat for themselves or for a special bachelorette party treat. You would be hard-pressed to find a larger or more well appointed spa. I would put a visit here on my “bucket list” if I had not done it already! I will be back! (More than 60 services are offered so it’s overwhelming about which one I want next!) 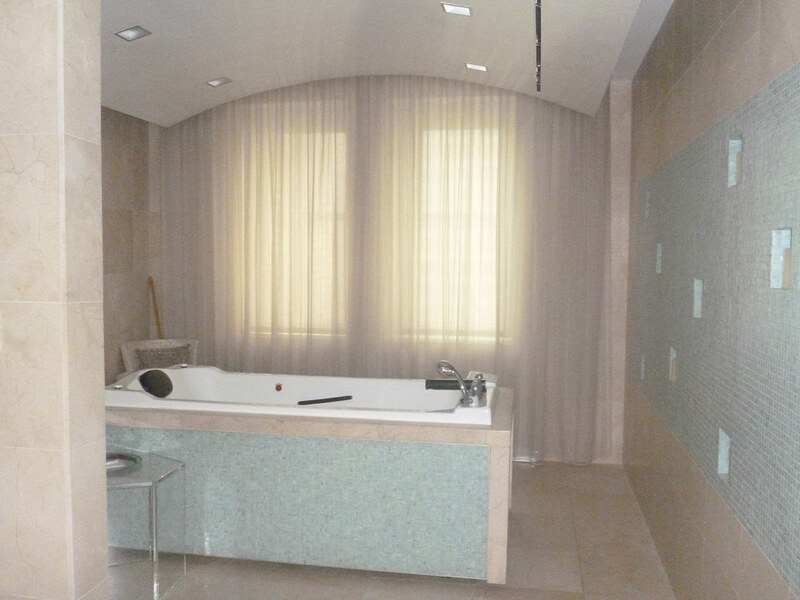 The address for the spa is 150 East 50th Street between Lexington and Park, NYC. To book an appointment, go to www.guerlainspas.com or call 212-872-7200.